Can I return or exchange my purchase? We will gladly accept the return of unused or undamaged (excluding special orders) merchandise for a full refund (less shipping), subject to the following limitation: For a full refund, merchandise must be returned within 45 days of receipt, unused and in original condition. View Details. How do I place an order online? Orders can be placed on our website using our secure online ordering form and shopping carts. Orders above $2500 require fax and voice confirmation. Within 24 hours you will receive an e-mail confirmation of your order. You can also order by calling us at 800-871-1066. View Details. Will you charge sales tax on my order? To be clear, the Internet Tax Freedom Act (ITFA), which was signed into law on October 21, 1998, does not, as some have asserted, preclude sales & use taxes on any and all commerce conducted over the Internet. We charge 5.75% sales tax for Ohio State residents. View Details. How do I know what shipping charges are? 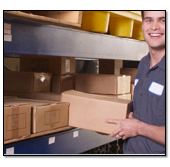 We offer several shipping options: FedEx Ground $5.00; FedEx 2 Day (U.S. Addresses Only) $8.00; FedEx Overnight (Standard Overnight Delivery) $15.00. Customers living in the U.S.: using two day shipping should receive their orders in 2-4 business days and overnight shipping should receive their orders in 1 to 2 business days. View Details. We accept Visa, MasterCard, American Express and Discover for all orders placed through Sndgems.com. You will be prompted to give us information about your method of payment at the appropriate point in the checkout process. For deliveries within the State of Ohio, there is a 5.75% sales tax added to your order. We do not charge sales tax for out of Ohio State residents. View Details. What is your repair or replacement policy? We will repair or replace jewelry purchased from us free of charge for defect or faulty workmanship. At sndgems.com, we stand behind every jewelry we sell. 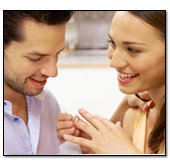 Our jewelry service center has highly skilled professionals to provide you prompt service. Check your jewelry like rings every six months as the prongs can wear thin. View Details. Store Location: Sparkle N Dazzle Co., 7W 45th Street #706, New York, NY 100366 (between 5th & 6th Avenues). 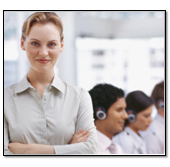 Voice: (800) 871-1066 or (212) 398-7974 Fax: (800) 610-6770 E-mail: inquiry@sndgems.com. Sparkle N Dazzle guarantees that the diamond you purchased has been graded with the strictest standards using the GIA grading systems. The sapphires will display rich blue in color. 100% Authentic Designer Clothes & Discount Designer Handbags. View Details. Sparkle N Dazzle is a member of the Jewelers Board of Trade, which is an organization committed to holding jewelers to the highest ethical and professional standards in the jewelry & fashion industry. View Details. Sndgems.com Online Jewelry Store offers Authentic Jewelry with Genuine Gemstones, Certified Diamonds and Real Metals. Read More. We have developed our frequently asked question's page based upon your queries and feedback developed over a number of years. Help yourself by searching our database. View Details. Live Person: You can chat with us live now - an online chat with one of our customer service experts. 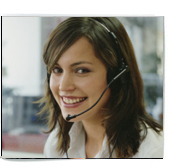 Our customer service experts are usually available from 10.00 am to 10.30 pm eastern std time. View Details. Engraving can be done in regular as well as script fonts and can be all uppercase or all lowercase. View Details. After sliding the ring sizer on, make sure it slides off easily over the knuckle. View Details. Dependent upon your country of origin, there may be additional duty fees due. View Details. Assurance ofvalue, a quality jewelry owners want. 100% Authentic Designer Clothes & Discount Designer Handbags. View Details.